During these challenging economic times, the some industries appear to be relatively unshaken. The transportation industry seems to be doing surprisingly well and actually growing in size. In fact, truck driving is repeatedly shown as one of the top ten careers in the country. This might be difficult to comprehend, but it is absolutely true. The reason is that truck drivers require a special Commercial Driver’s License or CDL, before they can actually drive a commercial vehicle. The Wolf Driving School has been helping Chicagoland truck drivers get the CDL training and truck driver training needed to pass the exam for many years. We base our business on the essential fundamentals of Honesty, Reliability, and Quality. 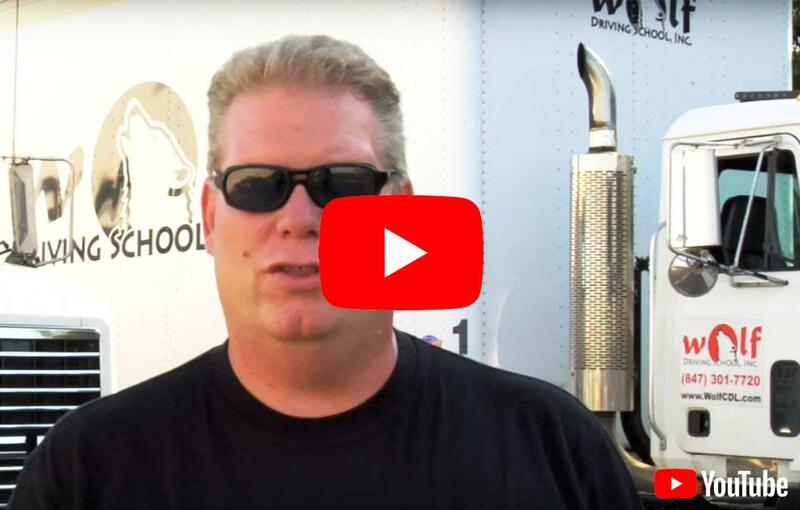 As one of the most trusted truck driving/CDL driving schools in the Chicagoland area, Wolf Driving School offers various training classes, extending from basic truck driving training to CDL training. Our school is conveniently located in Schaumburg, which is ideally located for our citizens only seven miles away in Hanover Park, Illinois. This is a perfect location for your truck driving training and to practice for your CDL exam. Hanover Park, Illinois is conveniently located 30 miles northwest of downtown Chicago in Cook and DuPage Counties. It has a total population of 44,023 residents. The median household income in Hanover Park is just above $77,726 and the median housing value is $199,704. Hanover Park is a family oriented community with strong American values and beliefs. It is only seven short miles over to Schaumberg, Illinois, the location of Wolf Driving School. Because of the proximity to Schaumberg and Chicago, Hanover Park has an increased reason to want to train drivers for CDL licenses. With all of the businesses that import and export their goods to and from Chicago, as well as throughout the country, many Hanover Park residents have already contacted the Wolf Driving School to schedule their CDL training/truck driving training classes. Having a CDL expands their chances of not only expanding their careers, but it also multiplies their chances of increasing their income considerably. Many people may be asking themselves why they should invest their time and efforts into attending a CDL truck driving school and becoming a licensed driver. The simple reason is because this is a great way to develop a successful and lucrative career. With that CDL license, you are on your way to becoming a professional truck driver. Not only is truck driving becoming one of the five fastest-growing professional in the United States, but it is also one of the highest-paying new careers. First year drivers can easily earn anywhere from $35,000 to $70,000 annually. Don’t waste your time in a job with little or no chance of advancement or progressing to a higher paid position. Truck driving and CDL driving school is only seven miles away. If you give the Wolf Driving School a call today to schedule your CDL training/truck driving training classes, you won’t regret it! Our truck driving and CDL classes are designed around your schedule, and unlike our competitors, we offer job placement assistance after graduation! Call us today to find out where to start. With Wolf Driving School you have the qualified professionals with the expertise and know-how to provide you with the CDL training/ truck driving training classes that will serve you well in the workforce.